Earn $0.90 in VIP credit (90 points)What's This? 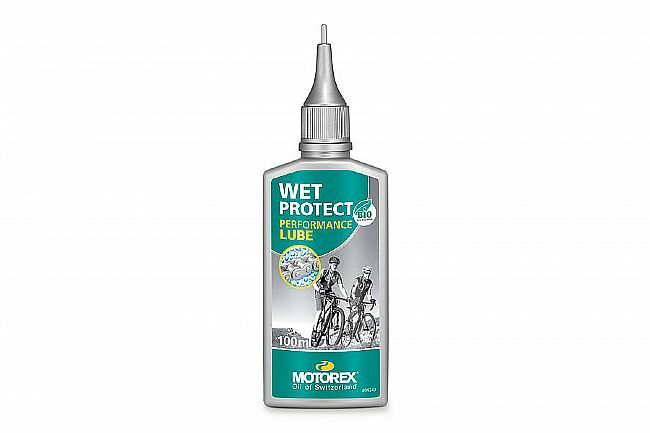 Wet Protection Lube - Drop Bottle from Motorex is a biodegradable, fully synthetic chain lubricant containing additives that facilitate quick and deep penetration. It's water- and dirt-repellent, and specifically designed to provide lasting lubrication and corrosion protection, which makes it ideal for bikes that see a lot of miles and exposure to rain and mud.